Why should we be holy? The first answer to this should be obvious. As God’s people, we are commanded to be holy. In other words, we should be holy because God said so (Leviticus 20:7, 1 Peter 1:16). To be holy means to be separated for use by God. It means sacred or “other than” everything else of that caliber. Consecrated. Blameless. To be holy is to be unique. It is to be different than the rest; distinctively better and reserved for special purposes. Second, another for us to be holy is because we earn a blessing from it (Hebrews 12:10). The chastening of God is not just for punishment but so that we can receive the blessing of His holiness. The third reason to be holy is that through it, our witness for God is more powerful and effective. We are not to be closed off from the world but to be untainted by it. The power of our witness to the world is through the holiness we pursue. This is played out most markedly in how we love God and others, both which we are commanded to do (Leviticus 19:18, Deuteronomy 6:5). Though holiness is separate from love, they are inextricably tied together because holiness should drive our love. We love rightly because we live rightly. We love purely. We love in truth. It is predicated on our living holy. In the book, The Five Love Languages by Gary Chapman, he presents relationship information, saying that words of affirmation, quality time, gifts, acts of service, and physical touch are the supposed five love languages. However, there’s not one mention of holiness, sacrifice, submission, denial, or self-control which are the deeper, more intimate, eternal love languages. What Dr. Chapman mentions, though good on the surface, doesn’t go deep enough, especially for being a Christian book. We are the people of love representing the God of love. Therefore we shouldn’t leave those things out in a book on love. What is alarming and sad is that many people will pick up and read a book on how to relate to their spouse or fiancee, but hardly, if ever, will pick up the book in how to relate to God, the Bible, which also has all of the information we need on how to relate to our spouse or fiancee. You never love properly when you live unholy. This is not only love for others but love for God and love for ourselves. The fourth reason to live holy is because without it, we do not have access to God’s presence (Hebrews 12:14). When we live unholy, ever our prayers are hindered (Psalm 66:18). Our witness for the kingdom is tarnished, our relationship with God is weakened, and our gifts are rendered ineffective for kingdom purposes. It is true that we have a two-tiered form of holiness. On the one hand, we are sanctified and declared holy at the time of our salvation. We are set apart for use by the Lord God. The righteous of Christ and the seal of the Holy Spirit makes us fit for the kingdom of God and to be ambassadors for it. However, on the other hand, we are commanded to be holy which means that it is not automatic but an act of our wills. There are things we must do. 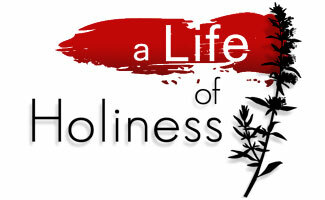 Holiness is not only the position we are in but the way we carry out our lives (1 Timothy 4:12, 2 Peter 3:11).